We had a fantastic time this weekend. The weather was beautiful. And we went to this! We were out walking on Saturday when we came across a collection of tents behind the Lee Valley Ice Center. When I saw them, I remembered that Countryside Live was coming to the Lee Valley this weekend (I’d seen the flyers around and thought “hmm, must go to that this year” then somehow completely forgotten about it). 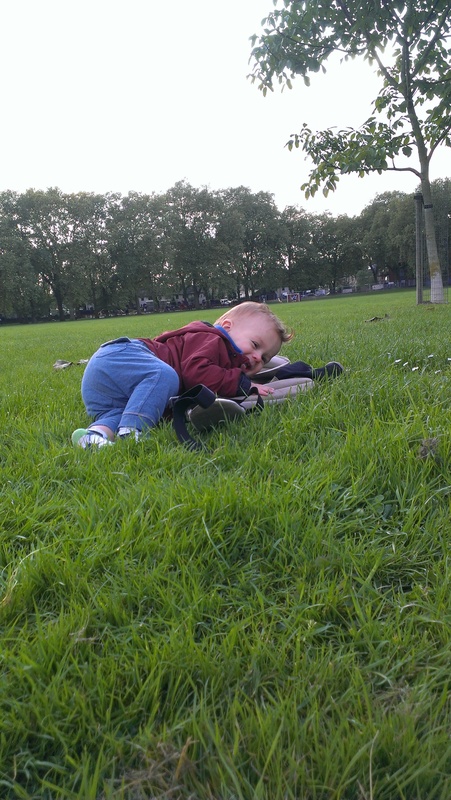 Unfortunately, by the time we spotted the tents, it was already half four on Saturday afternoon and we were an hour into a wander round Hackney Marshes, road-testing our new carrier (Patapum for toddlers. Love it). Also, I was trying to avoid the temptation to stop for a snack, so wasn’t carrying any money. 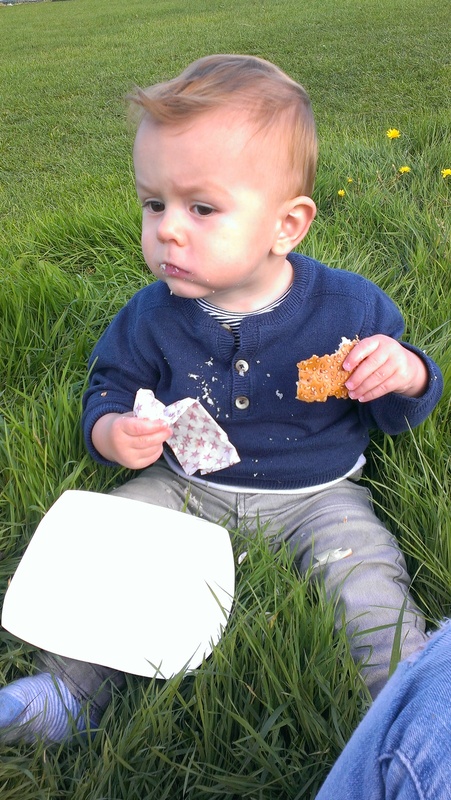 We continued on with our wander, stopping off in Millfield Park to let Tom have a crawl around (and to rest my back – that boy is getting HEAVY), before heading home for tea. Yeah sure, HE needs a lie down! Luckily, Countryside Live is a two-day event and we were prepared on Sunday, heading off after Tom’s morning nap, entry fee in hand. A day pass cost a fiver, which is perhaps a bit steep, but nearly all the activities and shows within the enclosure were free, which made up for it. A pass for both days would have been £7, but probably wouldn’t have been worth it for us, as Tom is still a bit young for many of the things on offer. We reached the enclosure just before eleven, and headed straight for the petting zoo, where we admired a pony, some goats, and a very old tortoise. Then we settled on some hay bales to watch the Sheep Show. Unfortunately, Tom got a bit bored at this stage and made his escape – crawling at speed straight towards the ice cream van. So we missed most of the dancing sheep finale (although we did get to see the hippy sheep shaking his dreads). Taking the hint, I refused to buy Tom an ice cream but did ‘agree’ to share a pulled pork bap, before heading home for a proper lunch (with vegetables) and his afternoon nap. Nap time over and milk duly drunk, we headed back again for what remained of the afternoon. 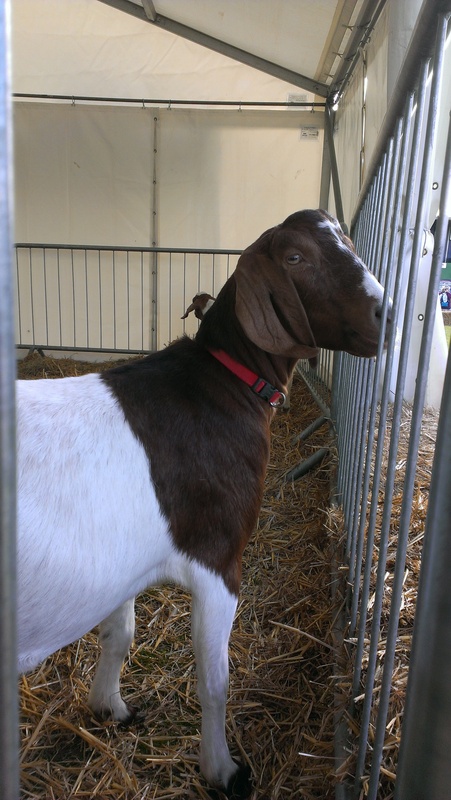 We watched a sheepdog herd some ducks, had a wander round the stalls, and caught most of the falconry show (Tom was hugely impressed by the owls and kept flapping his arms, as though he might be about to take off too). 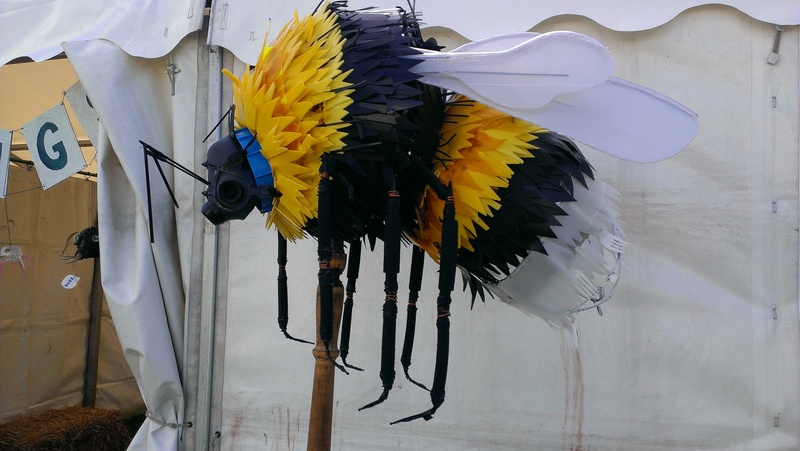 This bumble bee was made from rubbish! There were also lots of stalls promoting traditional crafts, and for local conservation groups. 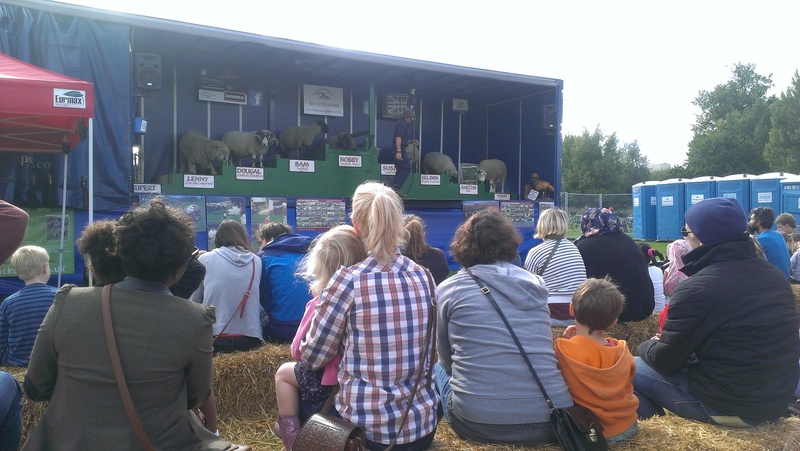 If I’m completely honest, I don’t know that Countryside Live really counts as wild time so much as ‘time spent with a crowd of people watching domesticated animals’. 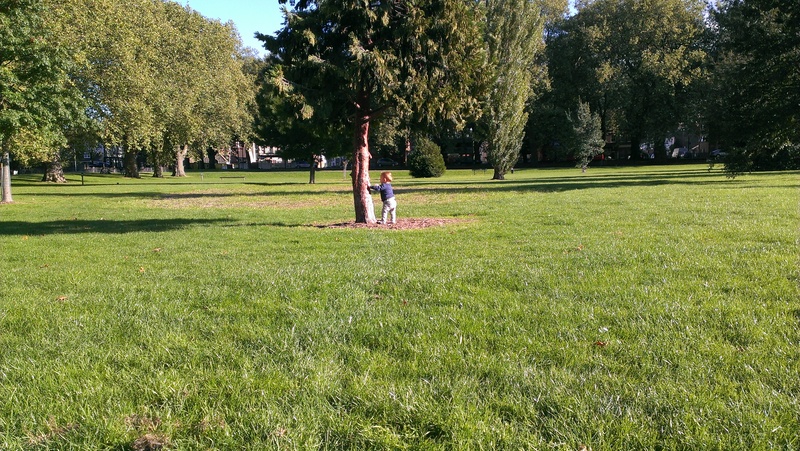 To make up for it, we rounded up our afternoon with a trip to the park, where Tom spent a good 45 minutes poking a pine tree with a stick. He even made friends with a little Russian girl (I’d guess she was about four) who came over to join in. Sitting in the grass, watching my little man give his entire attention to exploring and making friends, could not have been a more idyllic end to the day.